…according to our Market Profile charts. At Futurestechs we combine Candlestick Analysis on different timeframes (from 10 minute to weekly/monthly charts) with Market Profile. Market Profile looks at things a bit differently and we’ve always found it can be an excellent overlay; looking at “Volume at Price” to give an extra dimension to our reading of the charts. 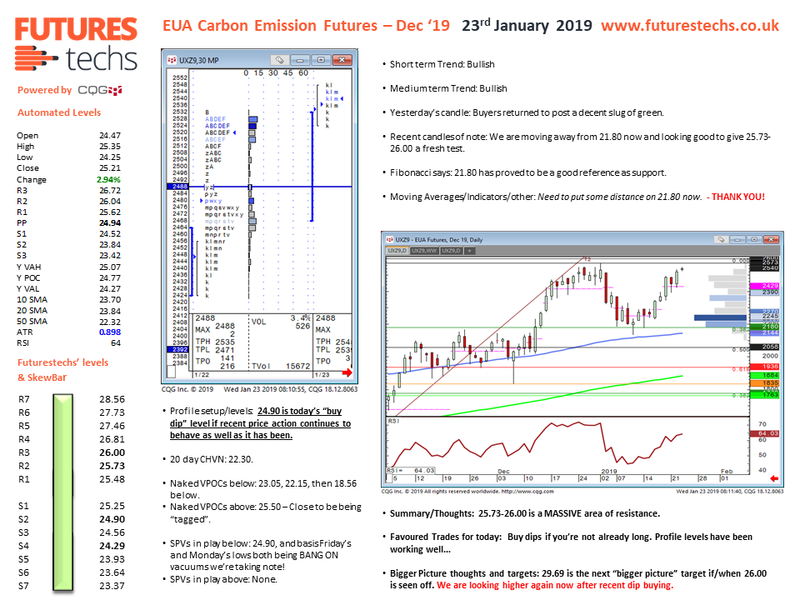 We started the New Year with a new look to our reports, with the idea that we wanted to offer a little more information on what the Profile charts had to say, particularly with respect to Single Print Vacuums and previous days’ VPOCs (which stands for Volume Point of Control). And we’ve got off to a good start with this idea, at least in EUA Carbon markets! 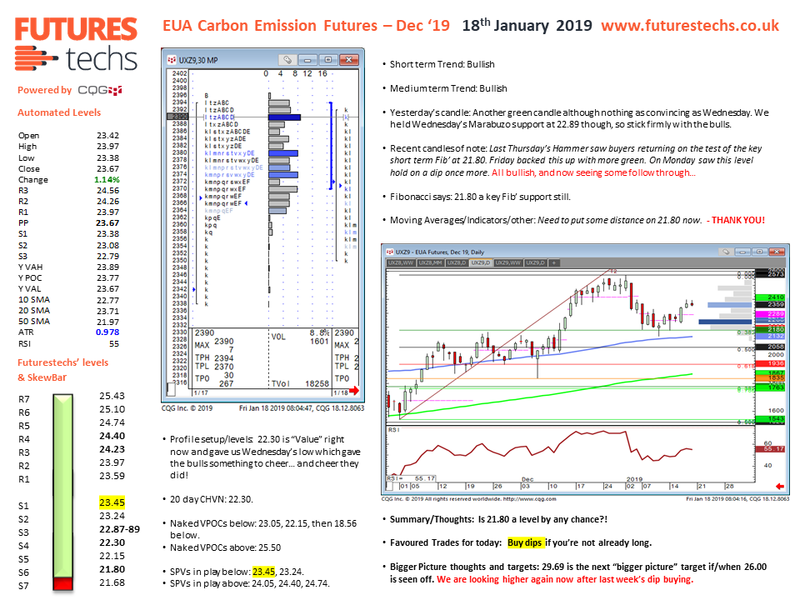 We said in Friday’s report that 23.45 was an early support to watch. That was the low and we rallied sharply from here. On Monday we cited 23.94 as a Vacuum support worthy of note. The low was 23.93. And after further gains yesterday our report to clients sent this morning noted that if this good behaviour continues we can expect 24.90 to be today’s “Buy Dip” level.